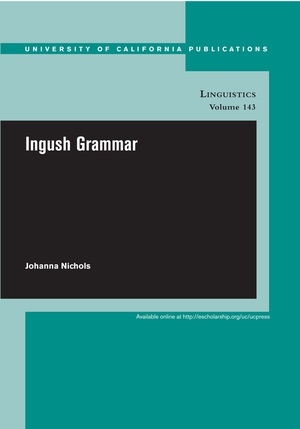 Comprehensive reference grammar of Ingush, a language of the Nakh branch of the Nakh-Daghestanian or East Caucasian language family of the central Caucasus (southern Russia). 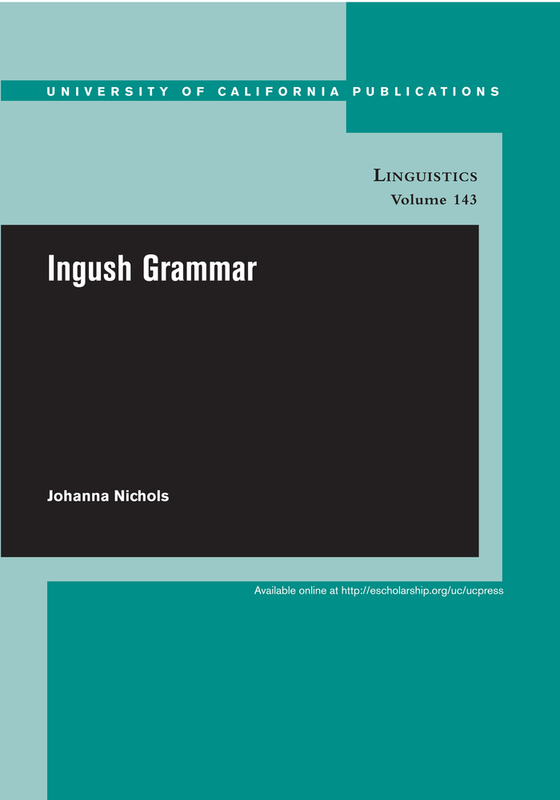 Ingush is notable for its complex phonology, prosody including minimal tone system, complex morphology of both nouns and verbs, clause chaining, long-distance reflexivization, and extreme degree of syntactic ergativity. Johanna Nichols is Professor Emeritus in the Department of Slavic Languages and Literatures and Affiliate Professor of Linguistics, UC Berkeley. She works on languages of the Caucasus, typology, and the linguistic prehistory of the steppe periphery.